Once again the outlook for reinsurance rates at the mid-year renewal season is clouded and dependent on the appetites of underwriters to deploy more capacity. One underwriters acceptable rate increase is another’s unacceptable level of risk-adjusted return, and with strategies diverging further, in terms of efficiency, cost-of-capital, access to risk, and other factors, reinsurance is not a one-size-fits-all priced market anymore. As a result, it’s become increasingly hard to forecast where rates might sit at any future reinsurance renewal, let alone at the approaching June and July renewals. 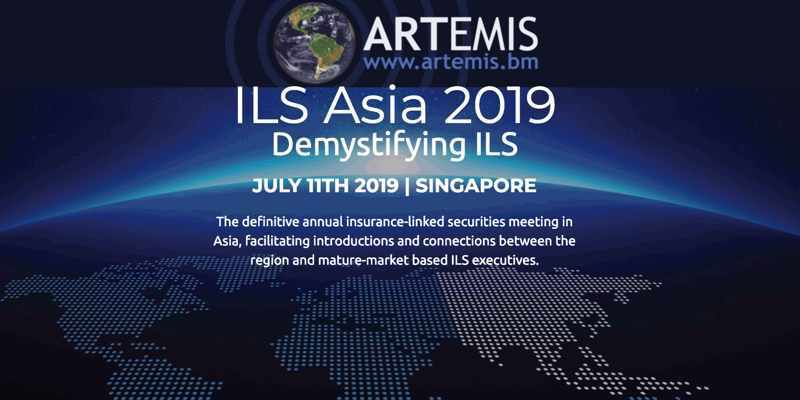 There are now so many different risk appetites and costs-of-capital in this reinsurance, insurance-linked securities (ILS) and broader risk transfer market, with a growing range of business models that affect the ability to underwrite more risks. Hence, one strategy can often accept lower price increases than another, still meeting their all-important expectations for covering loss costs, capital costs and enterprise costs. That’s not to mention the costs in the reinsurance market value-chain that can also be reduced, through use of technology, disintermediation and other techniques, all of which means one markets appetite for and ability to assume risk at a price, can be wildly different from another’s. But at the upcoming mid-year reinsurance renewals there is a widely held desire for rate improvements, to compensate for the impacts of loss creep after hurricane Irma, the aggregation of loss events, the record-breaking impacts of the wildfires, and at the same time a widely held recognition that rates had perhaps dropped too far this time around. Of course, it’s been reported that leading ILS fund managers are saying they will return capital to their investors, should rates, in Florida in particular, not live up to their expectations. In reality, that has been a message we’ve heard every single year and as ever the repatriation of capital is likely to be small in amount compared to that which actually gets deployed, as at this renewal the rate environment is expected to be better, with incremental gains expected quite broadly in loss-impacted regions and accounts. Because, rate increases are expected at this June renewal and we’ve spoken to reinsurance buyers who are already fully aware they will need to pay a higher rate for the protection they seek, after their key markets all suffered large losses at the hands of catastrophe loss events in 2017 and 2018. But how significant those rate increases will be, or how broadly felt and where loss free regions and accounts will renew, remains much more difficult to predict. At this set of renewals the ability to achieve higher rates is likely to be completely dependent on the appetites of major players in the marketplace, as well as the appetite of any start-ups that emerge. The appetite of the world’s largest reinsurance firms is likely to be a significant factor this year, particularly as some of the big four are planning to expand their market share back into regions such as Florida and the U.S. hurricane exposed coastline, if rates are sufficiently strong. That alone could have a dampening effect and mean rate increases are not what they would have been had appetite and capital remained the same as the prior year. Major reinsurers can drive significant new capacity into the renewals in these areas, that could tip the balance in terms of rates (or at the very least mean increases are a little underwhelming again). Alongside this there is the appetite of ILS funds and ILS investors, whether fresh capital is raised in bulk to try to capitalise on the improving rate environment, or whether (as seen at renewals so far in 2019) capital remains relatively flat. If the ILS market pushes for more share of the improved priced business this too would be expected to have a dampening effect on the rate increases that can be achieved. New start-ups are another factor, as ever, with initiatives like Stephen Catlin’s Convex re/insurance group potentially set to bring new capital to market, if it is up and running in time. 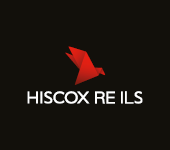 We understand key positions are now being filled at the emerging Convex, including leaders for reinsurance underwriting and other areas that may find attractive opportunities at the renewals this year. Of course, start-ups (traditional or alternative) do have to position themselves as a very cost-effective source of capacity in most cases, hence any new players that come in can equally dampen rates somewhat. Finally, some of the mid- to large-sized reinsurers that manage third-party capital vehicles and joint-ventures have been raising new capital to support quota shares, underwriting mandates and are likely to enter this June renewal with an increased pool of underwriting capital than they had a year ago. Another potentially dampening factor, especially as for some traditional reinsurers third-party capital remains a way to maintain a foot-hold in certain areas of property catastrophe or specialty underwriting that no longer meets the cost-of-capital of their own balance-sheets. Something we suspect will attract increasing investor scrutiny in years to come. Because of all of these factors, related to capital efficiency and appetite for risk at a certain price, there could be a very fine line between an improved in loss-affected or specific peril regions and more broadly stable rate environment and one where appetites get away from people and rate is thrown away in return for market share. The one saving grace, that could also help to really harden the market, is the fact that consensus is to be found quite widely in underwriters ambitions for higher rates this time around. After 2017 when the rate increases failed to really materialise at the beginning of 2018 there was a significant amount of disappointment. In 2019, so far, the rate environment has been more promising and markets appear to be holding a line on price, at least in many quarters. But with so many factors that can affect rate, all driven by the different levels of capital efficiency and risk appetite that underwriting strategies and business models can have, it means the outcome of the renewals is very hard to predict and there remains a chance that some are disappointed by an inability of the broader market to hold the line on pricing once again. Someone will always be disappointed though, now that the reinsurance and risk transfer market has become so divided in terms of strategies and costs-of-capital. That’s no bad thing, as increasing efficiencies mean risk capital appetites can be met at lower pricing, driving benefits for the ultimate insurance consumer further down the line. As long as the basics of loss costs, expense and costs-of-capital are met, it’s then down to underwriters to define their appropriate position in the rate scale. That scale (of rates) has become increasingly broad and we’d expect it to widen further, resulting in an increasing need to reduce the frictional costs in the transaction, with intermediary costs the likely target over the coming years. It’s a natural progression in a marketplace that continues to find its efficiency feet. But it makes for challenges in the interim as some adjust and move forwards much more rapidly than others. Of course price is not the only lever, when it comes to enhancing risk adjusted returns, so expect an increasing focus on terms, the structures employed, and the routes (technologies) used to access (or lay off) risk. All of these will become increasingly important going forwards. 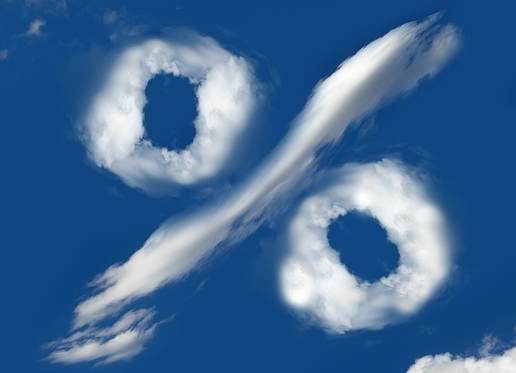 Hence the outlook for June and July’s reinsurance renewals is perhaps more cloudy than ever before, for it’s never been easy to predict where rates might sit this far in advance. While the consensus is that rates had fallen too far, with loss costs perhaps not being covered as sufficiently as they should have been. The capital efficiencies haven’t reduced, they only increase with every year that passes. So competing forces will once again be pitted against each other at this coming renewal season, with the outcome perhaps being a few more tell-tale signs of who will be the ultimate long-term winners. Also read: On third-party capital’s influence at upcoming Florida reinsurance renewals.